This magnificent piece is tied for FINEST graded and certainly deserves that commentary. The quality is SUPER high end. If it had been in an MS68 holder, we probably would not have flinched. Having built the Law/Simpson all time finest set of these, we can tell you, yes, we would have included this coin. Remarkable surfaces are 100% perfect. Even when using a strong glass and spending serious time look, we found not even a microscopic dot. 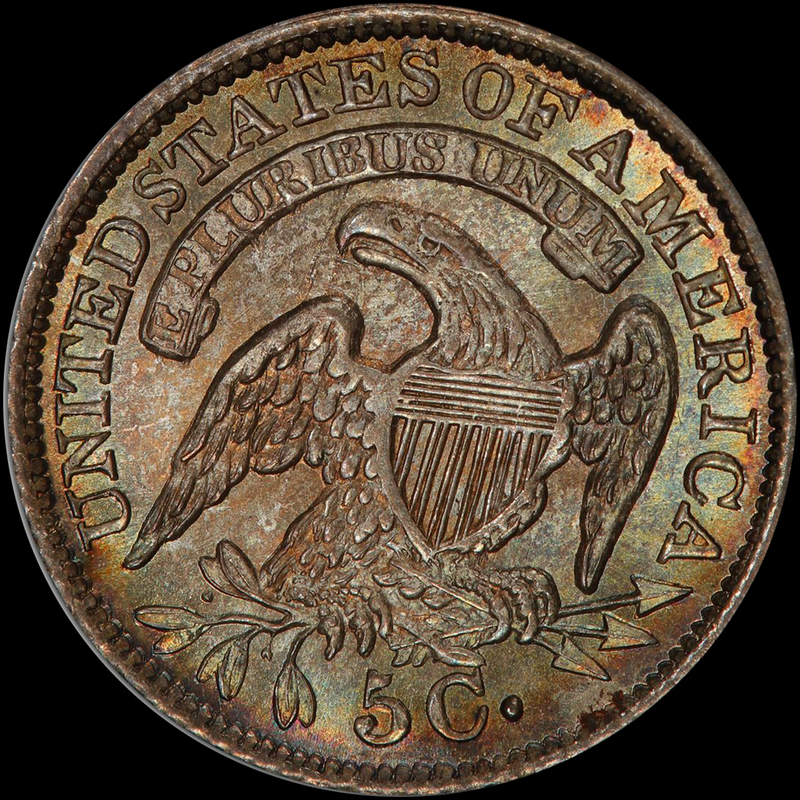 Plus, not only does this coin have a satiny look, the surfaces are also lightly semi-proof-like. You do see surprising flash from this coin. Both sides enjoy a beautiful and totally original mix of pale olive/champagne/gold/some blue/pale lilac colors. Miss Liberty stands out with a bold full strike. Some minor softness does appear on the eagles wing tips. There actually is some light contrast. The details are thickly frosted. The eye appeal is awesome and memorable! PCGS 7, NGC 9, CAC 7. PCGS has graded only 3 in MS67+ with NONE higher. None have ever appeared in auction. 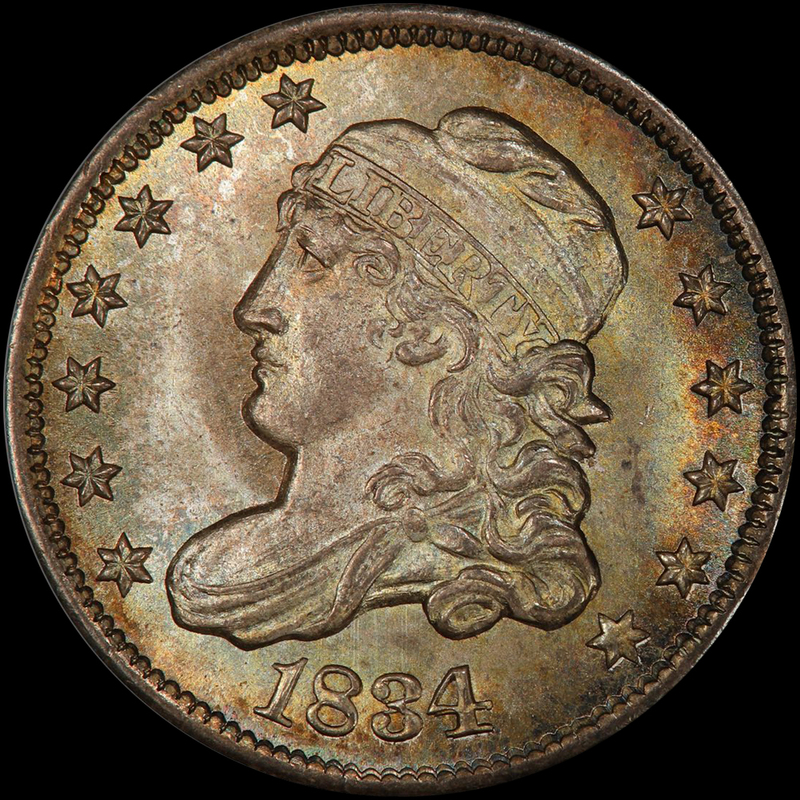 Legend obtained this coin from along time collector who wants to sell some dupes. He bought this coin in 1999! We know its been tucked away since then and never offered for sale. This is a no question a fresh coin. Everything about this SUPERB GEM is unbeatable!